On February 22nd 2018, SPE Hasanuddin University SC held an annuallywork program meeting in seminar room TNR building 2nd floor. 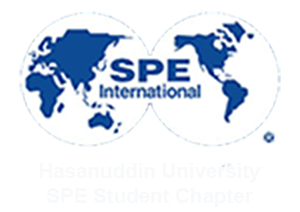 SPE work meeting begins by Muh Resky Ariansyah as President of SPE Hasanuddin University SC 2018. Our President, talked all about last year SPE’s program and all the organization needed. According to our president, SPE’s program is a master plan that have a function as a compass of duty activity. At the last, our president wished for board member and staff to have a big spirit for working together in SPE also gaveappreciated and thanked to all board member who joint work meeting seriously. Work meeting begins at 05.00 pm and continued with presentasions from each divisions. The presentations delivered by Head Of Division from every divisions. This work meeting gave chance to all participants to delivered opinions and recommendations to all the divisions. Finally, work meeting end officially by our President, Muh Resky Ariansyahat 08.30 pm.